We are bring new era Microwave Synthesizer, GPS-1100C system ! ⇒ Microwave Synthesizer, GPS-1100C system more details. 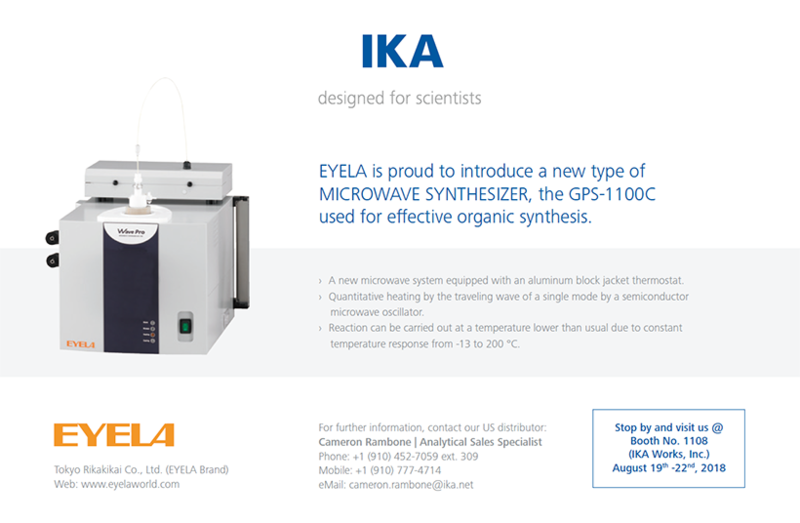 EYELA support you and stand by for all your needs during ACS (American Chemical Society) National Meeting & Exposition at Boston on 19-21 Aug. Please come touch with us at the Booth #1108, IKA Works Inc.